Home > Holiday Gift Cards > Holiday Gift Cards are Here! 16 Nov Holiday Gift Cards are Here! Give the gift of travel this holiday season with Enchanted Travel’s holiday gift cards! Travel is the perfect gift for everyone on your list, from the adventurous jetsetter to the stressed-out family member that needs some R&R. Our gift cards are available in any dollar amount and can be used towards any vacation package from Enchanted Travel. 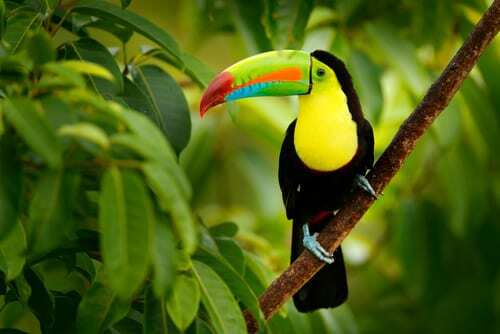 Guanacaste is a land full of wild and free natural habitats and gorgeous wildlife. Here you’ll find rainforests, beaches (both Pacific and Caribbean), and volcanoes. Besides the mainland, there are many islands to explore, including Isla Tortuga. This nature-lover’s paradise has so much to explore. Hike mountains, take a dip in a natural hot spring, lounge on the beach and listen to howler monkeys, and much more. Another great reason to use your holiday gift cards to travel to Guanacaste is that it is an amazingly simple journey from the US. For instance, when I visited in 2016, we had a 3-hour direct flight from Chicago. It is also very safe, peaceful and tranquil. In addition, it is easy to get around yourself if you wish. Ask your Enchanted Travel agent to include a rental car in your vacation package! Where to Stay: We stayed at the Riu Palace Costa Rica when we visited. This all-inclusive resort sits on the edge of Matapalo Beach. Besides the gorgeous surroundings, it boasts four swimming pools, a spa, and several different restaurants. The tourism industry in San Juan is back to business after last fall’s hurricanes. Hotels, retailers, restaurants, and tour operators are eager to welcome travelers back to their enchanted island. 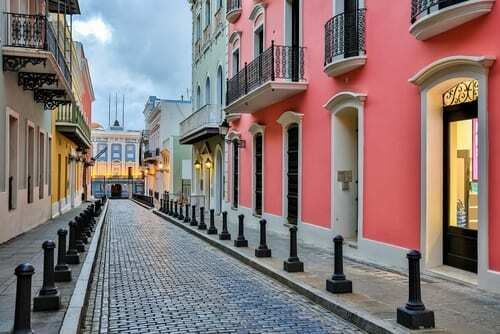 Take advantage of holiday gift cards and affordable airfare when you travel to San Juan. There is so much to explore in this trendy city. Spend a coupleof days lounging beachside, then venture out to experience the history and culture. You’ll also find great nightlife and dining here. Where to stay: Book a stay at the Wyndham Grand Rio Mar Puerto Rico Golf & Beach Resort. Though not all-inclusive, the four-star resort does offer a flexible European Plan. Ask your Enchanted Travel advisor for more details on this option. 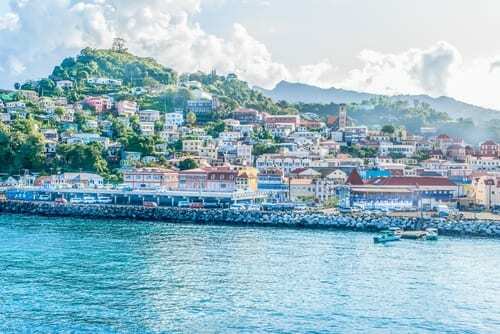 This tiny island in the Caribbean is one of the smallest independent countries in the western hemisphere. It is located between Trinidad and the Grenadines. Your loved one can use their holiday gift cards to explore Grenada’s stunning beaches, like Grande Anse which offers over two miles of sparkling sand and turquoise waters, plus tons of restaurants and bars. Beyond the beach, Grenada also has several natural reserves and waterfalls. The Grand Etang National Park and Forest is a great one, especially for bird lovers. Where to stay: Use your holiday gift cards to book a stay at the all-inclusive Grenadian by Rex Resorts. This laid-back resort has spectacular views across its lake and gardens and over the turquoise Caribbean waters of Tamarind Bay. Plus, the property is home to two private beaches. For a more luxurious all-inclusive stay, we suggest Sandals Grenada Luxury Beach Resort. 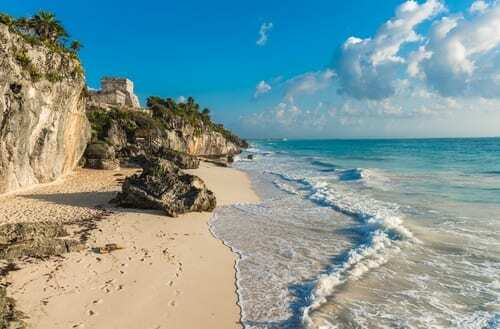 Perhaps the trendiest destination on this list, Tulum is experiencing a major tourist boom right now. Still, it is much less commercialized compared to Cancun or Los Cabos. Tourists are flocking to this unspoilt beach town for some of the most pristine beaches in Mexico. In addition, Tulum is home to some of the country’s best cenotes to explore. These gorgeous sinkholes range in size and popularity, but one of the biggest and closest to Tulum is Cenote Dos Ojos. Tulum is also home to a vibrant nightlife scene. Experience a beach party at the legendary Papaya Playa Project or dance the night away at the popular Cuban bar on the central strip, Batey. Where to stay: We suggest you book a stay at Dreams Tulum Resort & Spa. Call us today at 402-281-3022 to stock up on your Enchanted Travel holiday gift cards. Our gift cards are available in any amount and are valid for all vacation packages book with Enchanted Travel.